The fastest way to get further assistance on Comodo Internet Security is by posting your question on Comodo Forums, a message board exclusively created for our users to discuss anything related to our products. 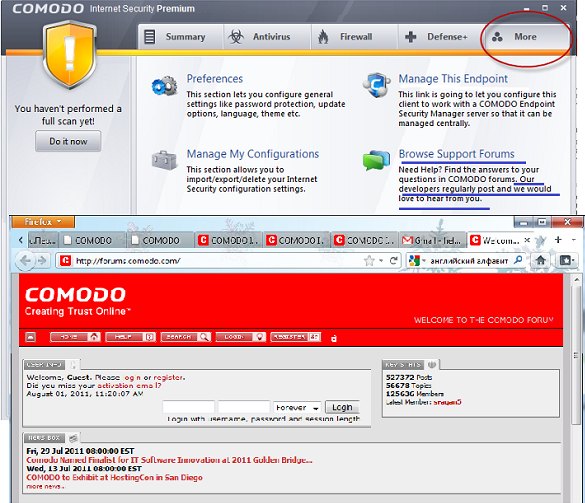 Click the Browse Support Forums link to be taken straight to the website at http://forums.comodo.com/. Registration is free and you'll benefit from the expert contributions of developers and fellow users alike. We also have an online knowledge base and support ticketing system at http://support.comodo.com/. Registration is free.